For the past month, Redhill residents and people further afield have been suffering from the horrible smell from the Biffa landfill site east of the town centre. As well as the unpleasantness of breathing stinky air, people have complained of impacts ranging from nausea and headaches to lost house buyers. 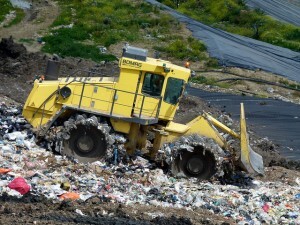 We have liaised with the Environment Agency, who regulates the landfill, from the start to encourage and support them in taking action and to keep residents informed. 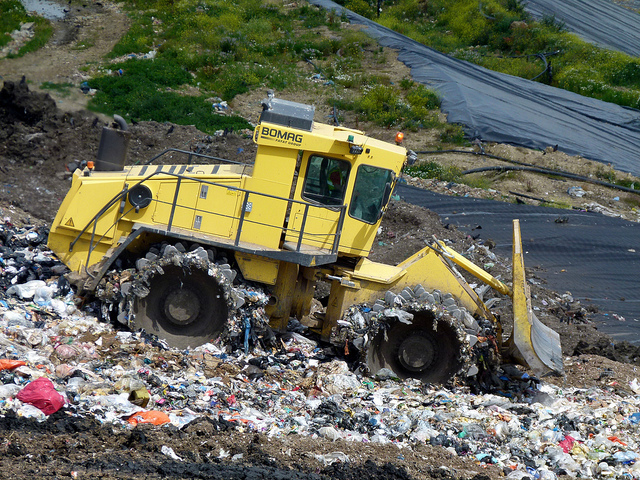 The Environment Agency has provided a helpful Question and Answer sheet about the landfill and the current problems and how they are being tackled, which you can download at the bottom of this page. Here are some excerpts (in italics – and slightly edited for length). What has caused the current problem? Biffa blames the heavy rain – is that right? “Although very high levels of rainfall across the United Kingdom in late 2013 (and continued into 2014) are a contributory factor… this was not the only cause of the problem. What is the Environment Agency been doing about the smell? The installation of additional gas collection wells in Cell 5. The sealing of leachate wells, by the installation of new caps. The temporary covering and capping of completed areas as quickly as possible. When will the smell go away? As many in the local community are concerned about potential health impacts, the Environment Agency will be carrying out air quality monitoring in the town centre, and working Public Health England and Reigate & Banstead Borough Council to interpret the results. We will press for this to happen as quickly as possible. The Environment Agency has a free phone hotline open 24 hours a day – do report the smell when you notice it on 0800 807060. It was the volume of calls that prompted the recent investigation and triggered the improvement works. And remember that the Environment Agency is having its budget cut and by this time next year will have a fraction of its current staff. We are calling on the Government to reverse cuts to the Environment Agency, who do such important work to protect us and the environment. Redhill residents etc. have suffered for years with emissions from the biffa site. It is also an eyesore that will continue being used for many more years/decades to come. Increasingly, Redhill seems to be the default place for everyone’s waste (with more planned) but is this really fair? Many of us have lived in the area before Biffa moved in. Personally, I can’t help thinking there must be a better site for all this waste, instead a next door to our town and homes.